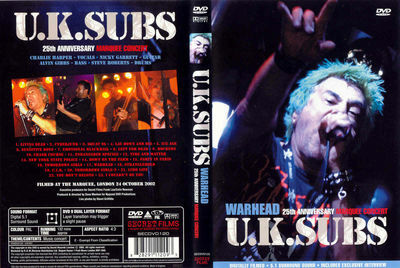 Above: Warhead UK DVD release, 2003, front and back cover. 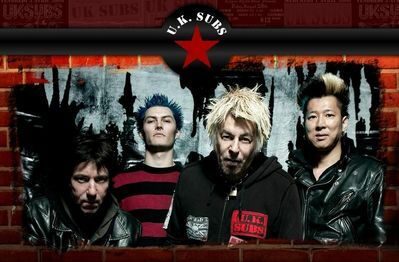 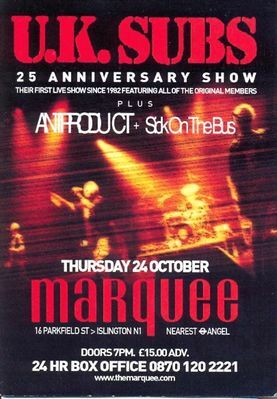 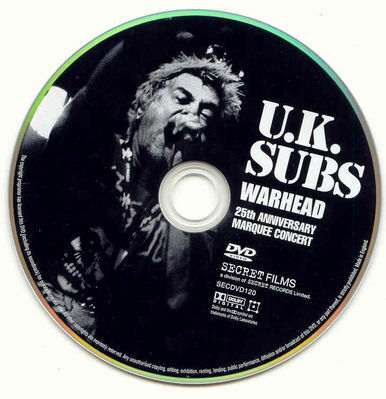 The U.K. Subs played the Marquee in London on 24 October 2002, and it was later released on DVD as "Warhead, 25th Anniversary Marquee concert"
Whoever produced the flyer didn't have a picture of the Harper/Garratt/Gibbs/Roberts line-up to use so just blurred a live image (taken from the LP release of Universal). 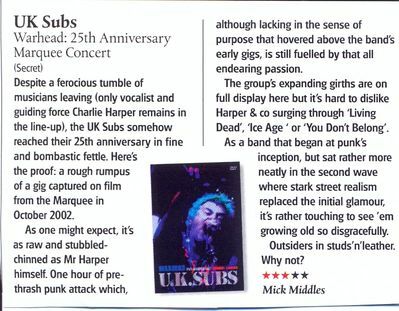 Above: DVD review, unknown origin.